Be on the lookout for a QR code card in your Purify Kit. This QR code is a convenient portal to the digital Purify Guide. Simply scan the QR code with your smartphone, and voila! You'll be taken directly to your online resource for Purify success. 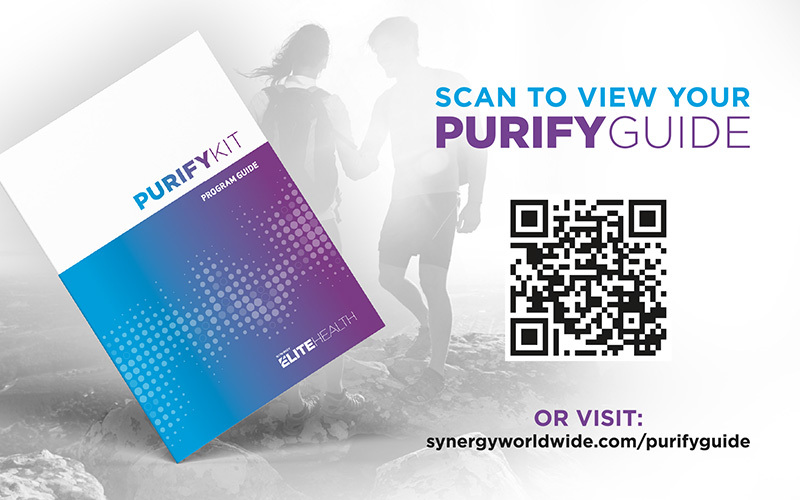 To see the online Purify Guide and learn more about the Purify program, please visit synergyworldwide.com/purifyguide.